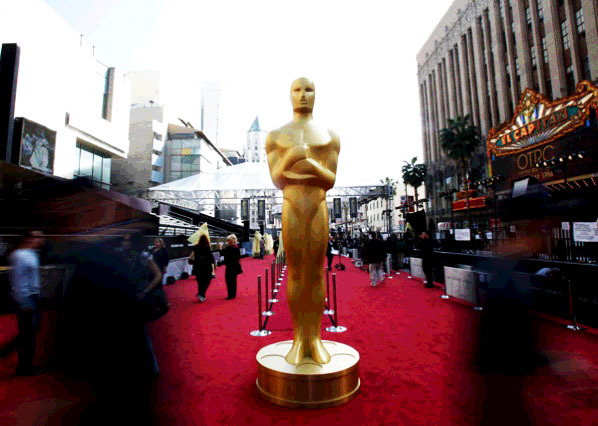 Yes, The Artist and Jean Dujardin are the talk of the Oscar’s, I would not have imagined when I saw him presenting his movie n Cannes how far it would go, but being honest it is one of the best performances in the last years (since 1920 if we talk about silent movies :), Chaplin would be proud). 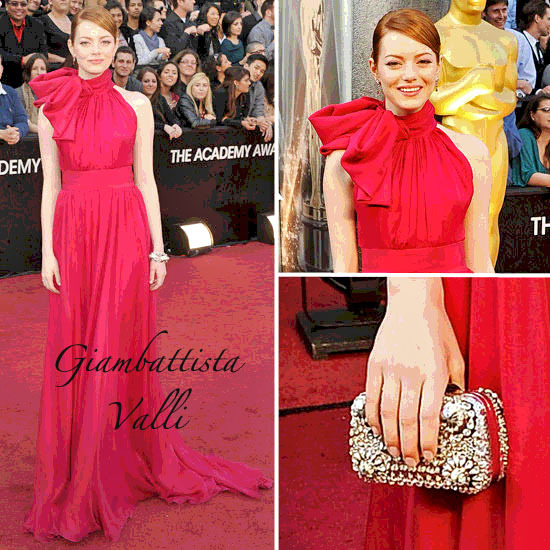 Anyway lets go into business, so which girls get this time the best dressed award?. My favorite look was Rooney Mara’s with Givenchy, she has a very distinct look and the dress simply completed it. Then going a few generations later Glenn Close was simply a diva, wearing Zac Posen, this Fatal Attraction star had nothing fatal in her choice, contrary I give her and F for Fabulous taking into account madame was born in 1947 (65 this year!). 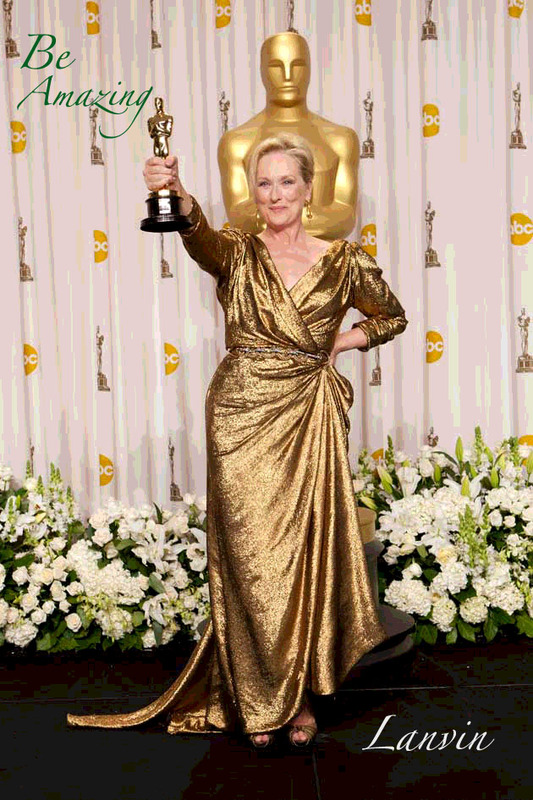 Meryl Streep (63yrs) looked amazing receiving her Oscar in Lanvin (what better advertisement do you want) . Then the immaculate Gweneth Paltrow, who must also look amazing while she sleeps!, always perfect, sleek and slim, she let Tom Ford (the only famous designer who makes fashion shows in closed doors, you can see, but you can’t share… well only in the Oscars), perfect choice, last detail, that amazing Diamond cuff that simply rounded up the perfect look is Ana Hu. 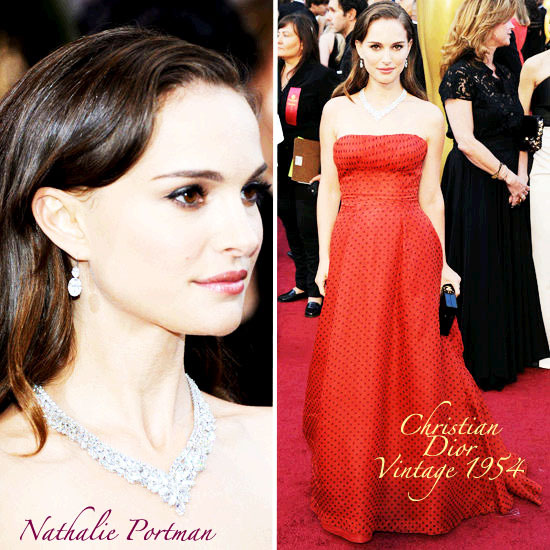 Nathalie Portman went classic with Vintage Dior, reminding us a little of the Golden era of cinema and fashion. Jennifer Lopez show a body flattering dress that was amazing but I would have chosen another color. Angelina Jolie had a black dress from Atelier Versace, but the one thing I think all the press must be talking about is that leg lingering out all the time 😉 and Brad the best compliment a woman can have. I have a complain though, there are many fabulous designers, this last season Haute Couture was filled with amazing dresses, the runways everywhere and we somehow always have the same designers, I think there should be more openness that celebrities wear talents like Christophe Josse, Hanibal Laguna, Stephane Rolland, On Aura tout Vu, so many to name. I think I need to talk to some of these stars ;0. Yes Rooney was my favourite too!! I’m still a bit upset she didn’t get to win, I love her so much!! And I also agree there are a lot of other fabulous designers the stars should be wearing I don’t know why they always go for the safe choices..